Nadia holds a degree from York University (B.Sc. (Honours) 1997) and a certificate from Ryerson Polytechnic University in Psychology (2006) She graduated from Seneca College with a Law Clerk Diploma in 2000 and began working at a large Bay Street firm as a legal assistant for Hilary Goldstein. Since then Nadia has worked with Hilary at two other large Bay Street firms and in-house at a publicly traded production and distribution company. 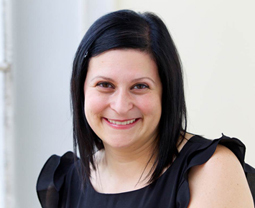 She has been with Buchli Goldstein LLP since its inception in 2013 and is responsible for the daily operations of the office, as well as legal assistant to Hilary and Christina, dealing with the incorporation, organization and maintenance of corporations, registration of PPSA and conducting PPSA searches, and registration of Canadian and US copyright documents.